Who hasn’t seen this technique used (maybe on TV or when actually dining out)? You know what I’m talkin’ about: a flick of the wrist, food suspended midair, then a soft landing back in the pan. 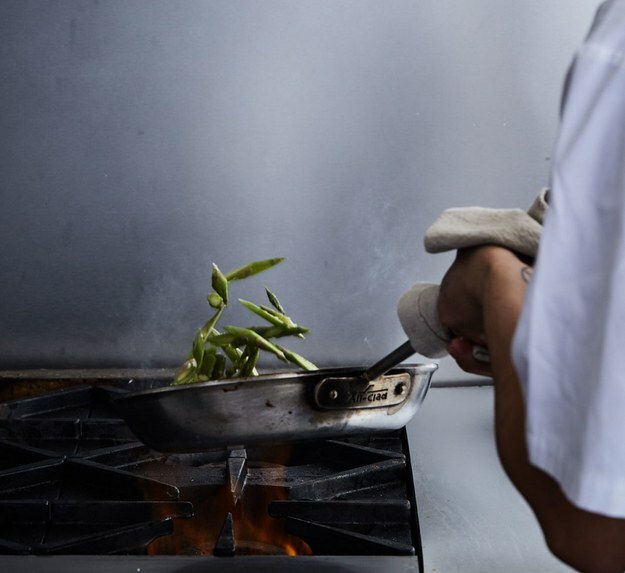 Cooks that’ve mastered this make it all seem so easy, like magic. 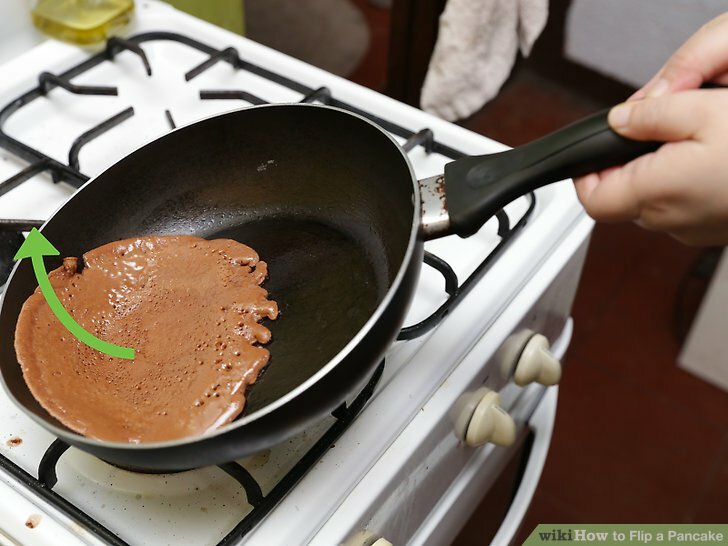 The pan-flip is what it’s called. And this maneuver serves a simple purpose, and it’s not (just) to make cooks look cool. It ensures that food cooks evenly over high heat; it’s what marries pasta to sauce. And it does it all without pesky spoons and it does it with panache! It’s a cooking technique to flip over. First: The Push Forward. Despite what it looks like, you are not seesawing the pan in an up-and-down motion. Instead, you’re propelling it forward and back in a tight elliptical orbit, with a little jolt of the wrist for necessary lift. With your elbow locked into your side, push the pan away, tilting the far edge of the pan facing slightly downward so the food slides away from you. Second: The Snapback. With intensity, and keeping your elbow in, angle the pan handle upward as you pull the pan right back toward you. It’s the pull—not the push—that will cause the food to roll against the far rim of the pan, catch air, and land back down. 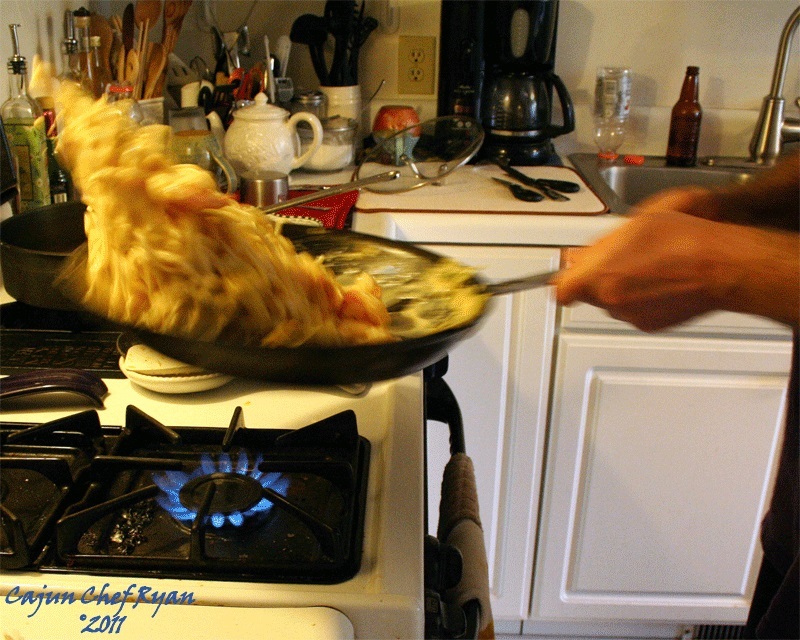 And yes, it’s totally okay to raise the pan off the burner so that you can move it freely without rattling the stovetop. With the right timing, you should be able to flip any food without the need for other tools (well, maybe not an omelet). It’s worth the effort learning how to pan-flip; you’ll find it makes the overall cooking job a lot easier, as well as turning out food that’s evenly cooked. To practice this cooking approach, professionals suggest working with something dry such as rice, nuts or beans. And you probably want to mess around with this over the sink. And my chef-son, Paul, learned how to pan-flip using the heel from a loaf of bread. Same idea. Position the slice curvy side down, push the pan forward and back and let the lip of the pan do the hoisting and flipping. Be firm, but gentle; don't let the bottom edge of the slice lose contact with the pan. 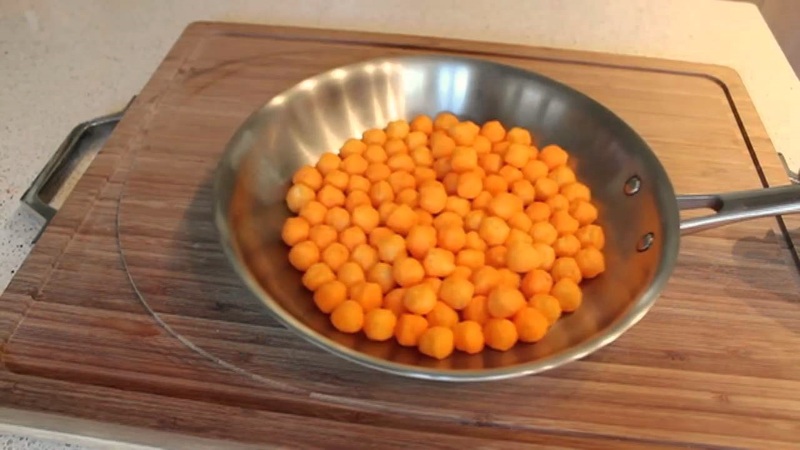 He said using the bread eliminated the mess you can end up with when using the rice, nuts, beans, or cheese balls (hence the advice to flip over the sink). A good place to start learning this maneuver is with stir fry. The ingredients are light and easily flipped. Start small with your flipping; a few small flips will do a pretty good job, and you're less likely to make a mess. Do not do this when using large quantities of oil (burns and even a kitchen fire could result). 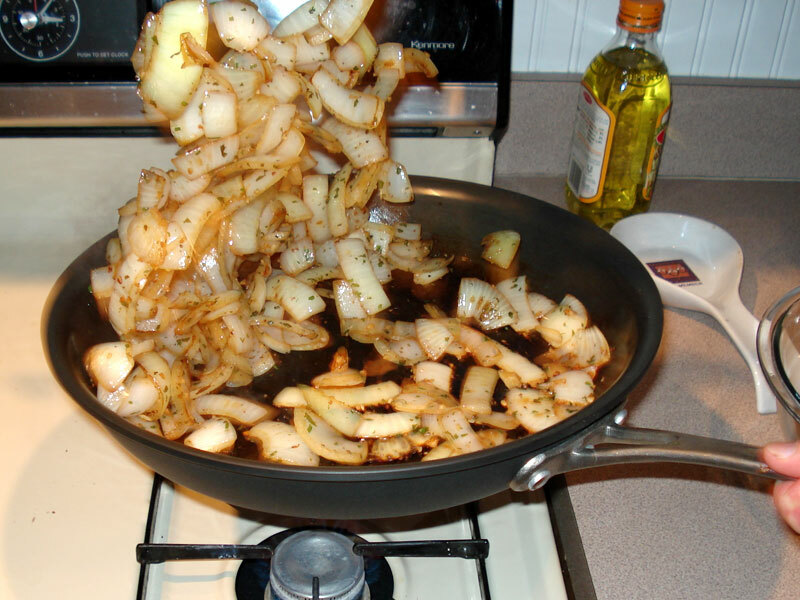 Don't try this with very heavy pans. In my mind, there are basically two ways to do things in life: you can do something well, or you can do it well and with panache! 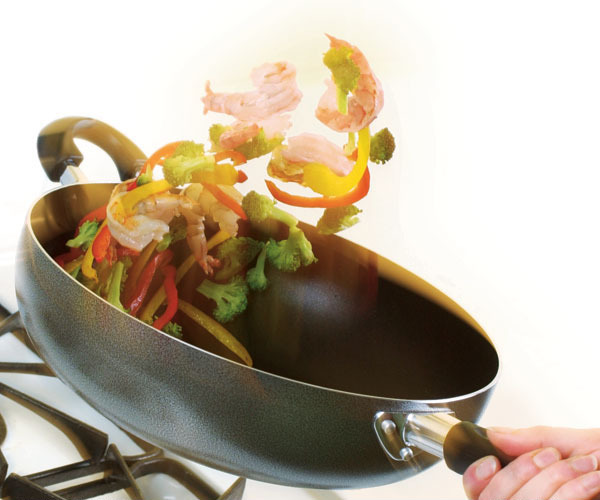 The pan-flip adds that smidge of panache to what you’re already doing so well.